ProgressBar is used to display the progress of an activity while the user is waiting. You can display an indeterminate progress (spinning wheel) or result-based progress. Typically you want to try to put the ProgressBar in the place where data is going to show (i.e. as a placeholder for an image). For a ListView, you put the ProgressBar in the header or footer, which lets you put an arbitrary layout outside of the adapter. ProgressBar can report numerical results for a task. Must specify horizontal style and result max value. and using this pattern any background tasks can be reflected by an on-screen progress report. 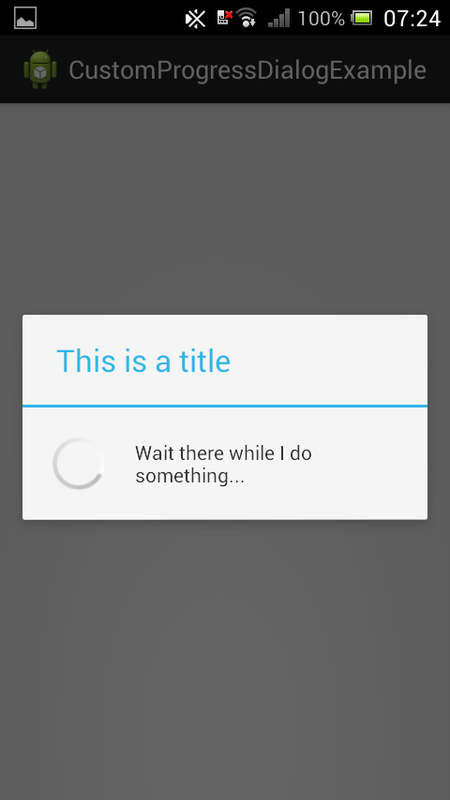 Note that this modal display prevents the user from interacting with the app until the task is completed. As a result, the progress indicators above generally provide a better user experience. 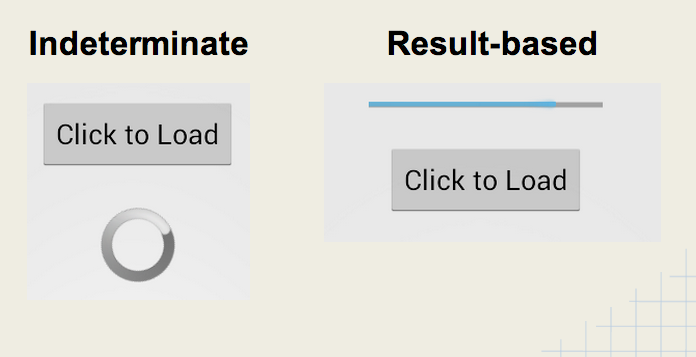 See this list of third-party progress bars for alternate styles and animations. The NumberProgressBar is featured above for example.